I like the point on etiquette, please consider to avoid to use your phone while at a table with someone unless is extremely necessary. And certainly do not put the thing on the table, that is rude. When you are sharing time with somebody else please gift them with your presence and attention to them. Make THEM feel important, instead of trying to make YOURSELF feel important staying at the phone and nourishing your ego with an air of “there is somebody else that wants me” I’ve seen a lot of this “shows” around and quite frankly … it’s a bit sad. And ultimately is not paying anything to you but an inflated ego, which will slow and spiral you down in your evolution. 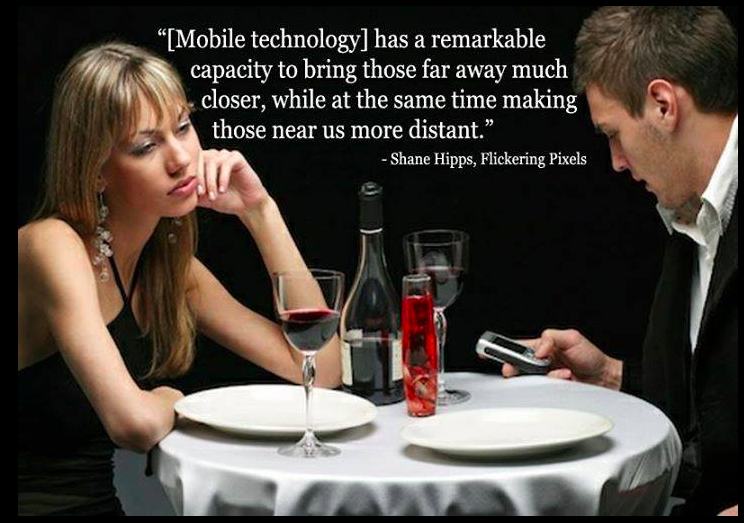 Plus mobile phones will fry your brain, so eventually, you’ll get a free lobotomy. Ah no … it’s not free, you payed for it, aha.